While you may already know that Hunter Canvas is one of the trusted manufacturers of shade sails and waterproof sailcloth, choosing the perfect one from their extensive line can be quite daunting. To narrow down your choices, we came up with the top considerations you need to take into account when buying shade sails. What degree of sun protection do you require from your shade sails? Do you only want the shade sail to be waterproof sailcloth or the entire structure? How much light do you want to come through your shade sail? How much airflow do you require? In general, if you require optimum protection from the harmful UV rays and block out most of the glare, it is recommended to choose sail shades in darker colours as it can provide as much as 98% protection. The fabric is also an important consideration of the many locally made and imported shade sail fabrics available on the market today, most are woven or knitted with a combination of both Monofilament High-Density Polyethylene (HDPE) and Filler Thread or Tape. If you are looking for a sturdy yet lightweight, waterproof material, ask your Hunter Canvas agent to show you the options available. 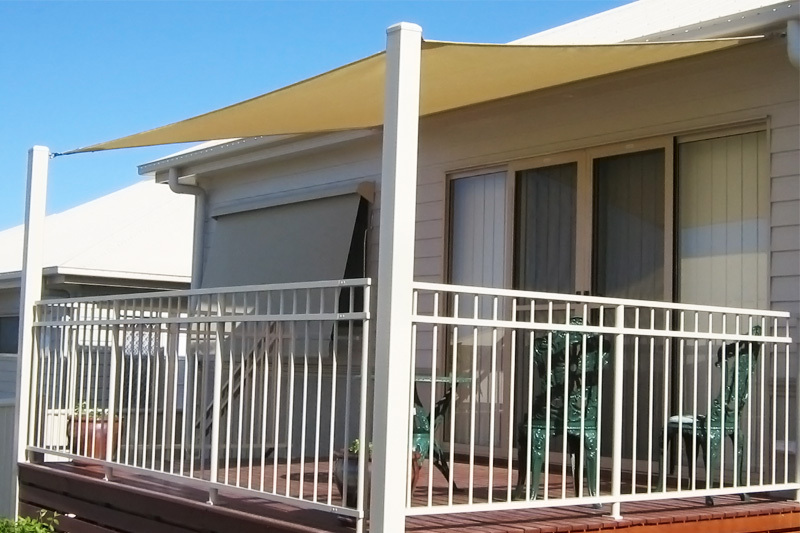 With their extensive experience in the waterproof sailcloth and Gold Coast shade sails industry, Hunter Canvas offers every imaginable colour, texture, shapes and sizes to fit your specific requirements.